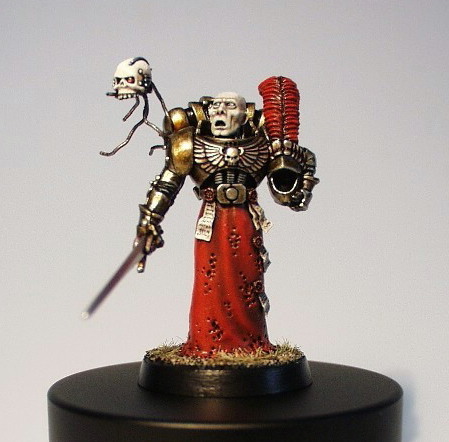 This model was my first try on making "flying" servo skulls and also my first robe in greenstuff. Today, the servo skull is used on another more developed and detailed witchhunter-style inquisitor made for UK GD 2002. However, nothing beats this balded guy's arrogant look!